On September 3rd, 2016 at 5:30pm, John and I were married. It was an intimate yet festive affair. Somethings were traditional some were not. Our wedding was completely DIY and featured many handmade elements as any good makers would do. Let me start with our invitations. Owning your our own laser cutting company had the perk of being able to make our own custom laser cut invitations. Invites can be expensive. Making our own added our own personal touch and helped us stay within our $5,000k wedding budget. Our custom "homemade" wedding invitations. My formal name is Dorothya. Let me back up for a moment and mention our save the dates. We are big fans of Unusual Cards (artist Francesca Berrini is a genius). We picked out our favorite postcard of hers and sent them out as our save the dates. If you know us, it's totally us. 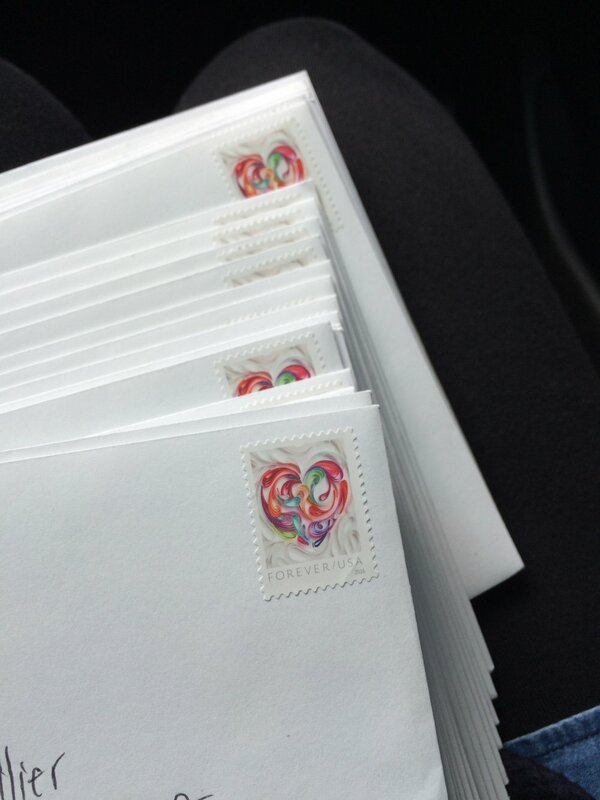 Back to the invites, like our regular work process we handled the design very similarly. I came up with the schematic design and John made it actually happen. Our wedding theme was Art Nouveau Evergreen. We knew we would have a lot of access to sword ferns and blackberries and wanted to incorporate them into our wedding decor. We used the ferns on our wedding invite design because we love them. I love the art nouveau stylized art and so it became our invites. 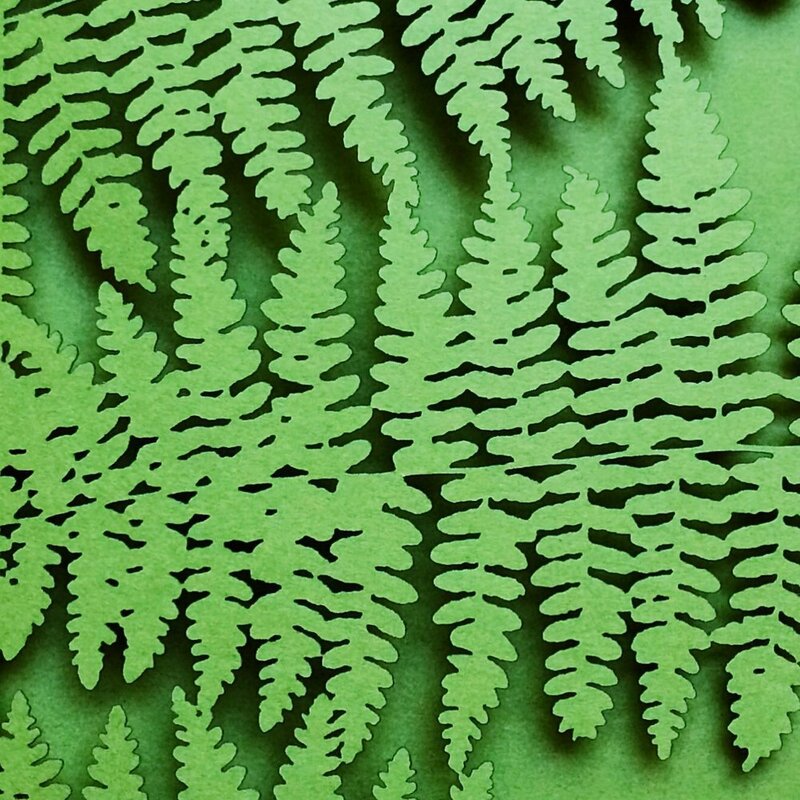 Laser cut fern themed invitations by 6 by 6 Arts. Each card was laser cut and assembled by hand. We placed a piece of marbled paper behind our laser cut cards and inserted the colorful printed card in the art nouveau style. I won't post a photo of those since it contains personal information. Hopefully you'll enjoy my posts about my recent nuptials. I promise there will be a big post all about my personal kanzashi and keepsake wedding bouquet.